SEO (Search engine optimization) is the process of optimizing your website for a higher rank in the search engines. It will increase the visibility of your site to relevant users and increase web traffic. Getting a high SERP rank is a difficult task without proper SEO. That’s why more companies hire professional digital marketers to set SEO up for their website. Professional SEO experts can easily optimize your websites. Hiring a professional digital marketing expert is the best thing you can do for branding. 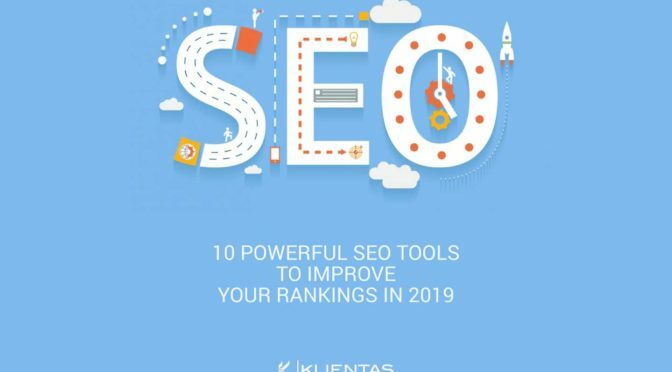 If you’re unable to afford a digital marketing professional try these tools for improving SEO. SEO plugins are dedicated to Word Press sites. These plugins have many premium features. It enables you to create keywords, titles, meta descriptions, site maps, twitter cards and so forth. It will ping search engines whenever you update your site.SEO Yoast plugin is the most commonly used SEO plugin. You can get a free version and a premium version of SEO Yoast. Google keyword planner is a keyword research tool which is commonly used with Google AdWords. It is mainly used to find competition of each keyword and its bid rate. For better results, you have to select keywords that have the highest search ranks and low competition. Google keyword planner is free for those who use Google AdWords. This is the primary tool that can be used to check your site. Using Google analytics you can easily get insight into traffic your site receives. Google search console will help you to identify issues in crawling and indexing your website. Open site explorer is a free tool used by Moz. This tool allows you to check data for any domain name. This tool will help you to find the backlinks in your competitor websites. Open Site Explorer offers a group of information like top pages, linking domains, which pages are linked on site, etc. Ahrefs is an advanced tool that will analyze your website and generate keyword, link, and ranking profiles to help you make better decisions on your content. It has three tools named site explorer, content explorer, and keyword explorer. Ahrefs is a paid tool. Hubspot website grader is an online tool that generates personalized reports based on the performance of your website. This is a paid tool. Buzz sumo is commonly used for content marketing. This tool is mainly used to find articles related to specific keywords. It is a research and monitoring tool. By using buzz sumo you can easily find the most shared content in social media and similar platforms. Sem Rush is commonly used to obtain analytics and insights from the competitors. This is a paid tool. These tools give options to conduct keyword research and competitor analysis. It can be effectively utilized to find out marketing strategies, advertising strategies, backlinks, keywords and so forth used by your competitor. SEO site checkup is a website auditor tool. You can easily obtain a quick SEO report from this site. These reports contain all relevant data like crawling errors, SEO errors and so forth. GT Metrix and Page speed tools can be utilized to ensure your site is loading fast enough for users. They will scan your website to identify any slowdowns and give suggestions to boost speeds across the site.